Want to fight against your friends, to show your powerful abilities and strong Eudemons? When you reach a high level or are equipped with full +12 Super items, will you be eager to prove your strength and skills? Although you want an exciting PVP fight as much as anyone, you are afraid that you will lose your equipped items or be put into Jail by the guards? 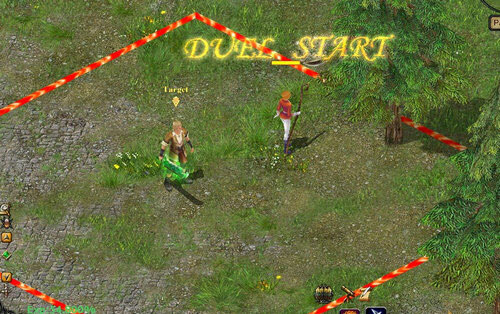 To solve your troubles, we’ve created the Duel system in Eudemons Online. Now you can enjoy the fun and excitement of PKing, with no need to worry about the PK punishments! 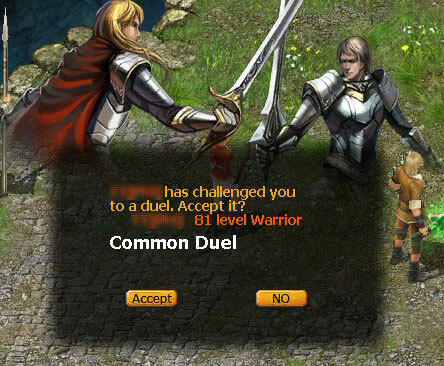 When you want to duel with a player, you can click the "Duel" icon to send your duel request. After the other party agrees, a duel map will appear for you to have your epic duel! 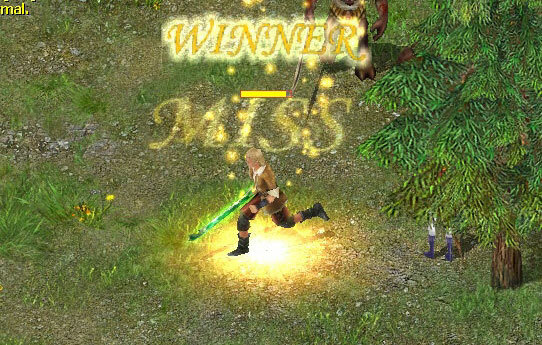 During the duel, both your character and Eudemons can use all kinds of skills. If you have 0 HP, you lose the duel. If your Eudemon has 0 HP, your Eudemon will die and can't be summoned back. Once you cancel the duel or use a teleport scroll to leave the duel map, you will be judged as the loser of the duel. The duel is over after one party is declared the winner. Warning: You may be attacked by the monsters or players during the duel. Be careful! No matter whether you win or lose, your dead Eudemons will return to normal after the duel is over, as will you and your opponent. No PK points will be given for either of you. Hope the Duel system can bring you lots of fun battles! Hurry to master the PK skills to challenge your fellows! Let's duel for fun, right now!